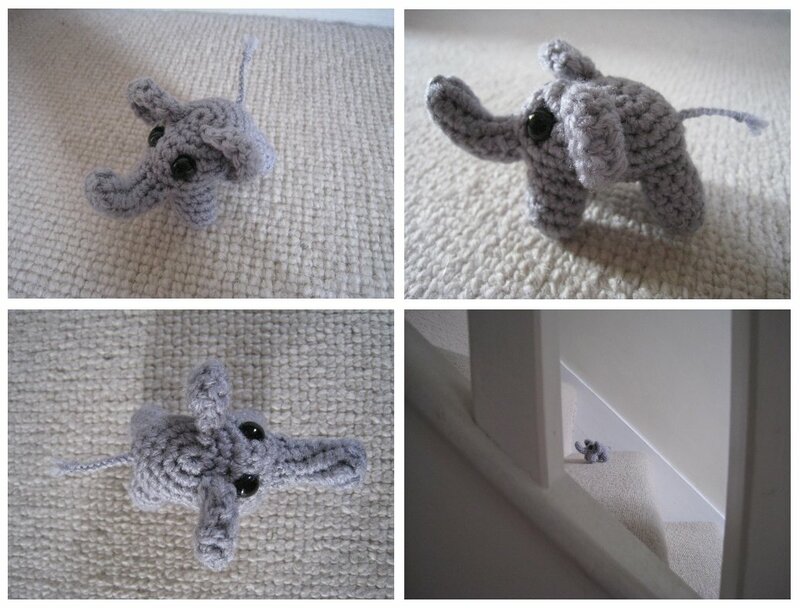 After reading the lovely comments on the previous 'designer focus' post I did (about the talented KristieMN) I thought I would try to make it a regular feature of my blog, Doing this will also give me a chance to show off again some of my favourite crochet toys as well as perhaps having a go at making up some new ones as well. Thankfully there are a good number of very talented crochet designers around and with a lot of them also offering free patterns finding people to do a focus on shouldn't be too hard. If you think of anyone that you would like to see in this focus slot then please let me know - I love finding new crochet designers! Curiosity cute - a newer blog with a slightly more sinister feel to it than Roman Sock. 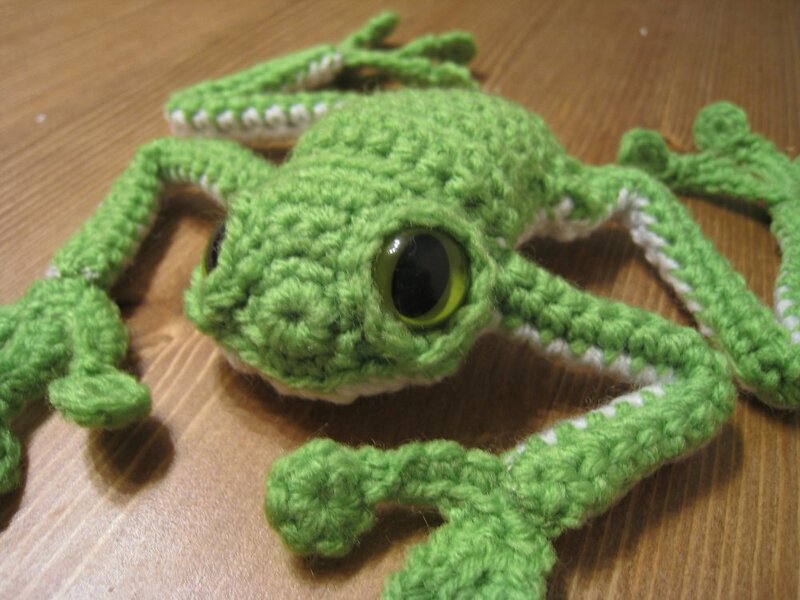 This very talented crocheter has also authored the recently published "Super, super cute crochet" which I am very much hoping will be among my Birthday presents next month. When I first came across the Roman Sock blog it took my breath away - I couldn't believe just how beautiful some of the work that Brigitte did. Back then Brigitte had all her crochet patterns available for free and even though she has started charging for some of her new patterns she has left those free patterns up for everyone to make use of. These patterns are available as PDF downloads and have all been written to a high standard with clear instructions and lots of quality photographs to help lead you thorough the pattern. Brigitte is also well known for coming up with the 'brushed crochet' technique with which you can transform a normal crocheted toy into something which has very realistic looking fur - without having to try and crochet with the very tricky fuzzy yarns that are usually used to get a similar effect. Unfortunately I've yet to make up anything to test out this technique though I really do want to have a go at the lovely pattern for the meerkat as these look just fabulous. Even though I haven't tried any brushed crochet I have made up a number of Brigitte's patterns and I've been very pleased with how all of them have turned out. At the top of this post you can see a couple of little owlets that I whipped together in a couple of hours recently from Brigitte's Instant Crochetfication pattern selection. These little patterns are very quick makes and are all very cute, just what you want when you need a quick crochet fix. 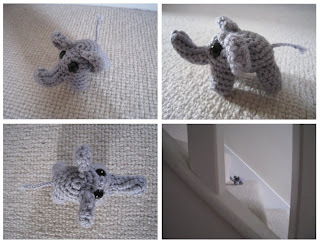 The little elephant that I made up for one of my giveaways last year is also from the Instant Crochetification range, and though I really love how the finished elephant turns out he is quite a fiddly little critter to make and takes me about 3 hours to complete, even after having now made three of these little guys now. Recently I also made up the Toad pattern (see left) from the Instant Crochetification range and while I'm happy with him as a finished item he didn't turn out quite as nicely as I wanted. For some reason I had real problems placing his back legs so that they would look right and enable him to sit up right. He looks a little pensive for some reason - I wonder what he is thinking about? My favourite pattern that I've made so far has to be the beautiful Greek Tortoise that you can see in the top right of this post. The design was well thought out and surprisingly simple to make up and came out far better than I could have hoped for. Out of all of the things I've crocheted over the years this little tortoise has been one of the hardest to part with so perhaps I'll have to treat myself by making another one day. Coming a very close second favourite would be the Tree Frog pattern (second photo down on the left) which I also fully intend to make up another for myself. My frog ended up being less froggy than the original pattern as I didn't have the requisite amber cats eyes so I stuck with the pair of green ones I had and kept my frog all green. Though there were a large number of different parts which all had to be sewn together at the end leaving a ton of loose ends to work in he was well worth all the effort. The last creature that I have to show you is from the Pass the Piggies pattern which for some reason isn't clearly available on the blog sidebar like the other patterns but you should be able to find it here. I'm always on the look out for new pig patterns as my mother is a big pig fan so this little guy got made up last year as a Mothers day present. He was another quick pattern to make and both my mum and my little boy really loved him. Wow Jess!!!!!! I am so honoured - thank you so much. I don't know what to say - so cool!! Thanks for this fantastic review - I cannot wait to check all of this out - the little owls are at the top of my list. I love that you introduce us to such talented people - thanks. Jess, I found Roman Sock a while ago and when I was trying to raise money for a local bird sanctuary Brigitte very kindly said I could make some owls to sell at their shop.